Currently, 9to5Mac media exposes three models of the Samsung Galaxy S10 mobile phone, including a non-curved screen mobile phone, which is expected to be the first 5G mobile phone of Samsung, and CaseMe Case has released its protective case. If you like wallet phone case, then this is a must-see product. Due to the low profile design. Made from high-quality PU leather, the split wallet has 14 card slots. The magnetic clasp ensures that all valuables remain inside and with the required safety. There is also a wristband that allows you to carry your equipment comfortably. 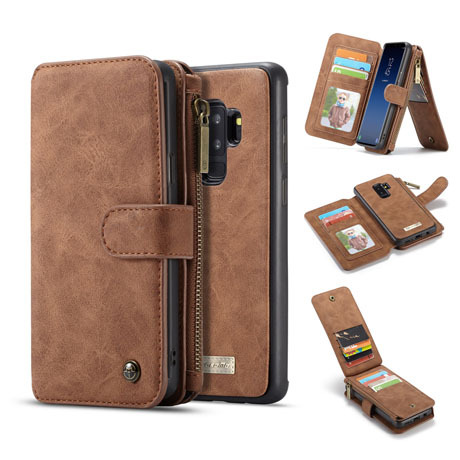 If you want to know more about the Samsung Galaxy S10 wallet case and the Samsung Galaxy S10 Plus wallet case, please follow the CaseMe official website.